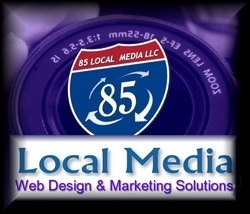 ​We now offer affordable Facebook site construction, updates and promotion services. You may ask, why does my business need an active updated Facebook Page? ​The answer is simple! This is where your target customers are at on a daily basis. Over a billion Facebook accounts, and almost 90% of baby boomers are now active online. ​"Done For You" Business Facebook Page. #1 Your competitors are fast finding out how important it is to stay connected with the largest social media site that are over 70 % adults. #2 Your new Facebook presence will, allow the local community to get updates in a timely manner, much faster than newspapers and radio. #3 Our "done for you" service helps you stay ahead and continue building your brand. #4 Most businesses don't have the staff and time to make regular timely post and keep fresh content on the site. We Do! #5 Facebook post increases visibility in your search engine rankings. #6 Increased visibility. Shares are actually tremendous with Facebook given that it makes a person's posts visible with a completely new group of individuals. The exponential effect of post sharing can go viral and hundreds or thousands of people in your local community get exposed to your information. #7 Other than the Facebook following feature, you happen to be also doing all your local community a service with the addition of an new channel upon which they may be well informed. #8 Very low cost for the exposure and return on investment.